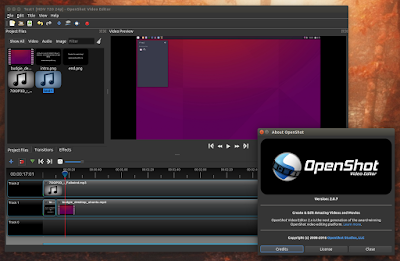 OpenShot is a free and open source video editor for Linux, Windows and Mac OS X. With version 2.0, which was born as a result of a successful Kickstarter campaign, OpenShot uses a new cross-platform engine written in C++, while the app uses PyQt5. Also, while version 1.x is Linux only, with version 2.0, the application is also available for Windows and Mac OS X. The latest OpenShot 2.0.7 (beta 4) brings improved stability and performance, as well as new features, such as support for image sequences. Check out the complete OpenShot 2.0.7 (beta 4) release announcement, HERE. 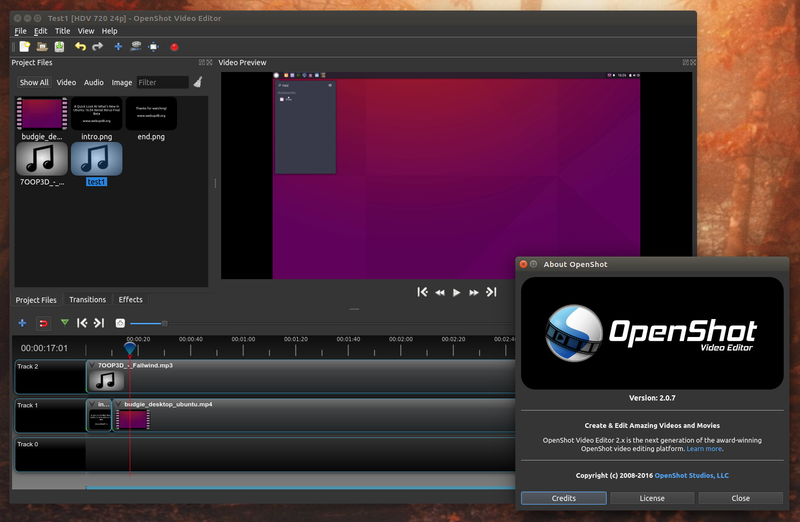 Probably the most exiting news regarding OpenShot 2.0 for Linux is not the latest 2.0.7 release itself, but the addition of universal Linux downloads. The OpenShot downloads page now offers the latest OpenShot 2.0.7 beta 4 for Linux as a single "AppImage", which includes all the required dependencies. To use it, simply download the file, make it executable and launch it. According to the OpenShot 2.0.7 beta 4 release announcement, the new OpenShot AppImage should work with the latest Debian, Fedora, Gentoo, openSUSE, Arch and Ubuntu. Other Linux distributions might work too, but only those I just mentioned were tested. For Ubuntu, the OpenShot downloads page recommends using the official OpenShot PPA. However, at the time I'm writing this article, the PPA contains OpenShot 2.0.6 and not the latest 2.0.7 version. Furthermore, there are some dependency issues for the OpenShot Ubuntu 16.04 Xenial Xerus package and you won't be able to install it from the PPA for now. To use the OpenShot AppImage in Linux, download it, make it executable (right click the file, select Properties and under "Permissions", check the box next to "Executable"; or via command line: "chmod +x OpenShot-2.0.7.AppImage") and double click it to run OpenShot. OpenShot 2.0 is still in beta so you will encounter bugs! Report them @ GitHub.